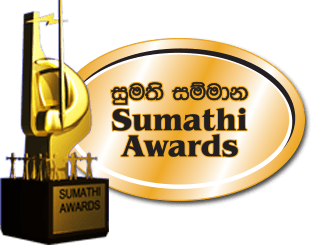 The Sumathi Awards offers a website located at www.sumathiawards.lk (the "Site"), mobile applications related to the Site (the "Applications"), as well as social media pages, and other services provided through email correspondence, events, newsletters, or other interactions with the “Sumathi Awards “representatives (collectively “Platform”). This Privacy Notice is intended to inform visitors, users, members, registrants or attendees at events (“user”, “you” or “your”) of the Platform about the collection and use of information about them that is collected directly or in connection with website and mobile application, or interactions with the Platform about the types of information that the “Sumathi Awards” gather or collects from users in connection with their use of the Platform. It also explains the conditions under which we use and disclose that information, and your rights in relation to that information. This Privacy Notice provides information so that users are able to understand and consent to the processing of their personal data, where appropriate. The “Sumathi Awards” is the data controller regarding all personal data processing conducted through the Platform. We collect the data that a user chooses to provide when register for example, by completing the tabs in the “Sumathi Awards” mobile application. If a user requests services for which payment is required, the user is asked to provide payment information. We also use the information in aggregate form, for analytics purposes, to understand our market, to monitor web site traffic or mobile application usage, or to modify our Platform to meet the needs or interests of users.